Big Dog World is a leading UK stockist of premium dog foods with brands such as Orijen, Acana, Carnilove, Barking Heads, Royal Canin, James Wellbeloved and Taste of the Wild. Buy the best quality dog food at cheapest UK prices with free delivery on orders over £45. Premium complete dry foods for dogs. Top quality wet foods with high meat and fish content. 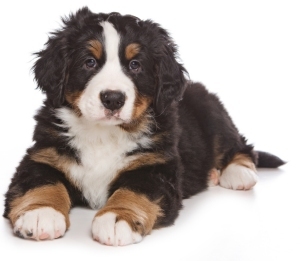 Top quality puppy foods for all sizes and breeds. Premium dog food for adult dogs. Premium dog food for senior dogs. Grain-free premium dog foods can help relieve issues in dogs with sensitivity to grains. AATU dog food is one of the finest quality diets on sale anywhere in the world. Grain-free dog food with 80% meat or fish. Acana dog food is an extremely high quality grain-free complete food for dogs. Made with all fresh regional ingredients, it contains only the best natural products from Canada. Arden Grange produce a range of super premium dog food. We believe their foods are excellent quality and represent great value for money. Barking Heads believe to create the very best dog food, you can only use the best ingredients and bundles of them! Formulated with advice from pet nutritionists at Purina, BETA dog food is enhanced with specific ingredients, essential minerals and vitamins to promote your dog’s health throughout his life with healthy dog food. 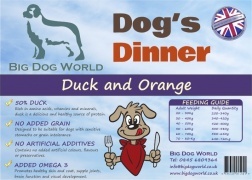 Dog's Dinner is a range of grain-free dog food from Big Dog World. This ultra-premium dog food is made with no added artificial ingredients, and has a high percentage of fresh meat or fish. Grain-free with 70% wild-origin meats including reindeer, duck, pheasant and wild boar. Holistic dog foods made in Staffordshire, UK using only the finest ingredients.Supporting Animal Health Through Nutrition. James Wellbeloved dog food is a super premium range of foods with no artificial ingredients. All James Wellbeloved dog food is hypoallergenic and naturally preserved with no artificial colours or flavours. Natures Menu is a complete natural dog food using top quality ingredients. Hypoallergenic and free from artificial ingredients, preservatives and other nasty chemicals. Orijen dog food is produced in Alberta Canada by Champion Petfoods, a family-owned and operated dog food producer with a 25 year tradition of quality. One of the finest quality dog foods on sale today. Royal Canin dog food provides precise nutritional solutions to your pet’s needs. Taste of the Wild dog food - made with roasted meats and supplemented with vegetables and fruits, the grain-free formulas provide a fantastic taste sensation.